Eat your greens – ALL of them! Sorry. The mom in me got a little out of hand there. But we’re in the middle of greens harvesting season, and I do get concerned that people are throwing away parts of the plants that are edible and delicious. After all, I did it for years. I’d buy a nice head of broccoli and cook the florets; maybe I’d even peel the stem and throw that in too. But the leaves always went in the compost. Until I learned a little about plant families, and realized that broccoli was just as much Brassica oleracea as kale was (not to mention collards, cabbage, cauliflower, brussels sprouts, and several other things), and why wouldn’t the leaves be just as edible, not to mention tasty? But next time you harvest a head of broccoli or cauliflower, or a kohlrabi (I keep feeling the singular should be kohlrabus, but it’s not), take a look at the leaves: if they are not too bug-damaged, and not so tough that you can’t tear them easily, then bring them home and cook them (I advise washing, trimming of thick stems, slicing, steaming for 5-10 minutes, and then using as if they were collards or kale). Also, if you discover that your brassica plants have decided the heat is too much, and are sending up stems with little flower buds, and you say, “Oh, they look like broccoli,” before ripping the plant up and adding it to the compost… hold on a minute. They look like broccoli for a reason, because they are basically the same thing – and if you eat the flower buds of the broccoli plant, why not eat those of kale or (yum) radishes? 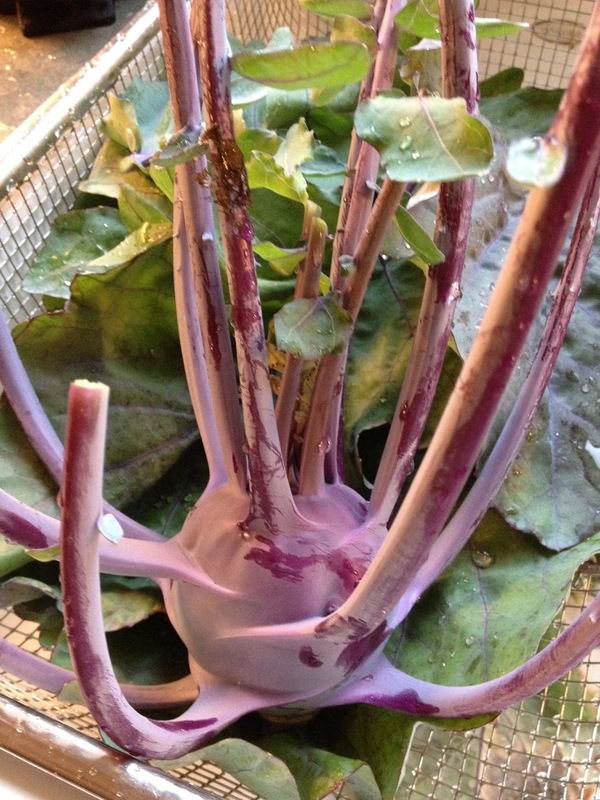 (Radishes are also in the cabbage family. And the flowers are nearly as pungent as the roots.) Cut those and toss them into the stir-fry or whatever you’re making too. I put a lot of greens in the freezer at this time of year, too (and again in the fall). After steaming, I spread them out on a cookie sheet and stick it in the freezer for about 20 minutes, then take the frosty leaves and put them in a labeled freezer bag. This prevents the formation of solid lumps that take forever to thaw, and allows you to select only part of the bag’s contents if you should want to. 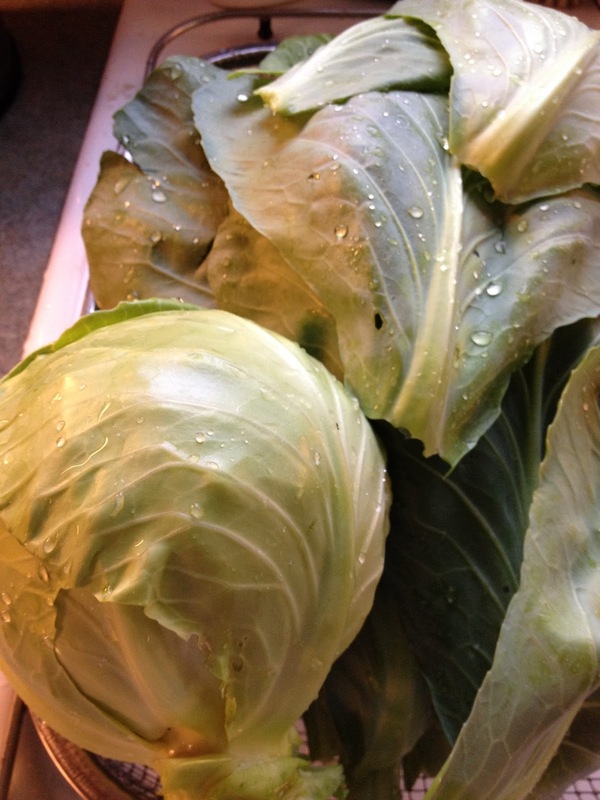 We eat a lot of greens at our house, and it’s nice to be able to take some out of the freezer in mid-winter (or mid-summer), whether they’re labeled “Kale,” “Collards,” “Cabbage Leaves,” “Kohlrabi Greens,” “Mustard Careful It’s Spicy,” or something else.